Junk Chic Cottage: An the Winners Are!!!!!! 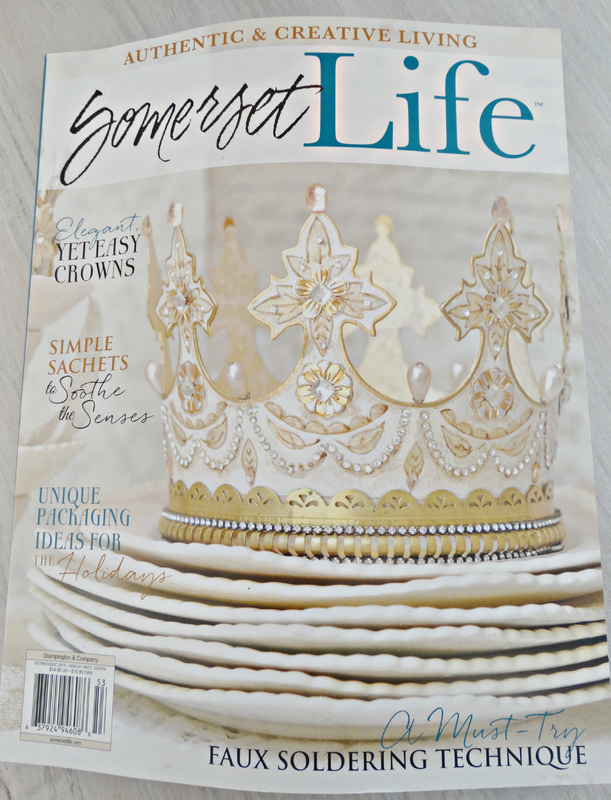 Well my friends thank you to all of you that entered to win a copy of the Somerset Life magazine that I was recently published in. I am listing the winners below. If you see your name please email me your address and when I get my order of magazines hopefully this week I will send you your copy. Congrats girls. Please send me your address's. For those of you that did not get your name pulled out of the hat. I have the post here where you can read the article and see the feature. 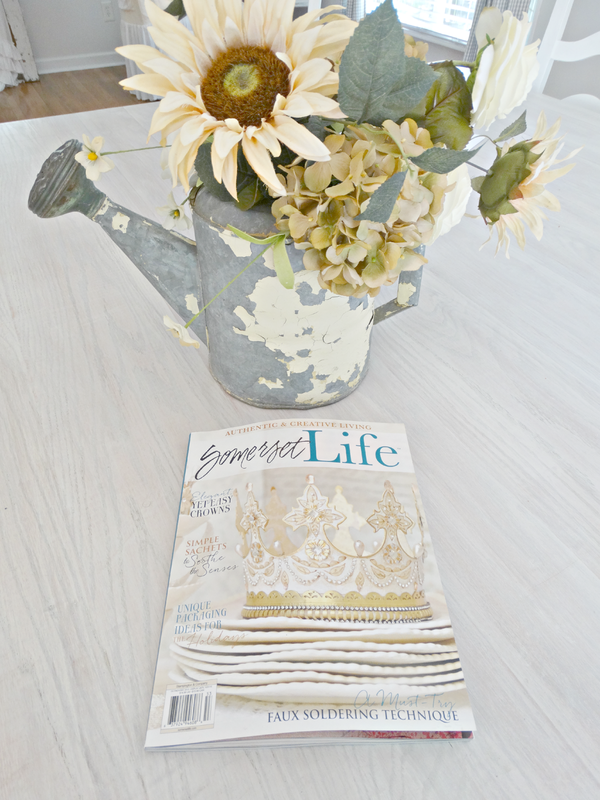 My good friend Nana Diana at her blog is giving away a copy of this magazine too. So if you did not win one here and want another chance please hop over to Nana Diana Takes A Break and leave a comment. Have a wonderful rest of the week. Be sure to come back on Saturday to meet a wonderful fun blogger in the Spotlight. Congratulations to all the winners! I'm so excited for them. Even in this electronic age, I still love holding a book or magazine in my hand...no better feeling!! Hugs my sweet friend!!! YAY for the winners! That is one of favorite magazines and congratulations on yet another feature, Kris! WOW..that is so exciting. I'm so happy for you.. You're so very talented and it's wonderful that your creativity is being shared and celebrated!!! Keeping you in my thoughts and prayers, sweet lady. Yippee for the winners. I am popping over to Diana's blog for a chance to win. :-) Thank you! Congrats to the lucky winners, beautiful article and feature my friend. AWESOME!! Thank you so much!! Congrat's to the other winners too! Congratulations to all the winners. They will love that magazine. Congrats on your article, Kris! I had entered over at Diana's! I hope I win, but if not, I'll have to track down a copy! Congratulations to the winners! A winner of an issue is THIS with you in it my dear! HAPPY DAY! Congrats on the feature, Kris, and to all the winners; lucky girls! Congrats to the winners. You are such a good soul, Kris. I am SO PROUD to call you a friend!!!! I purchased me COPY last NIGHT at our local Barns and Noble book sellers store, and page after page of you standing out Kris with all your collective white beauty. It will be a treasure to behold years to come and to be able to look back at all your have created from day one of starting your blog. And now to think of the new beauty you will be able to create all over again for many features to come when you make that leap of faith embracing a new life in a new home. Thank you Kris for adding beauty to our days. Congrats to the winners of this fabulous magazine! Congratulations to the winners! Kris, I'm so glad you've got these lovely publications to help you remember all the beautiful things you did to make your home a very special place. Congrats to all the winners Kris. 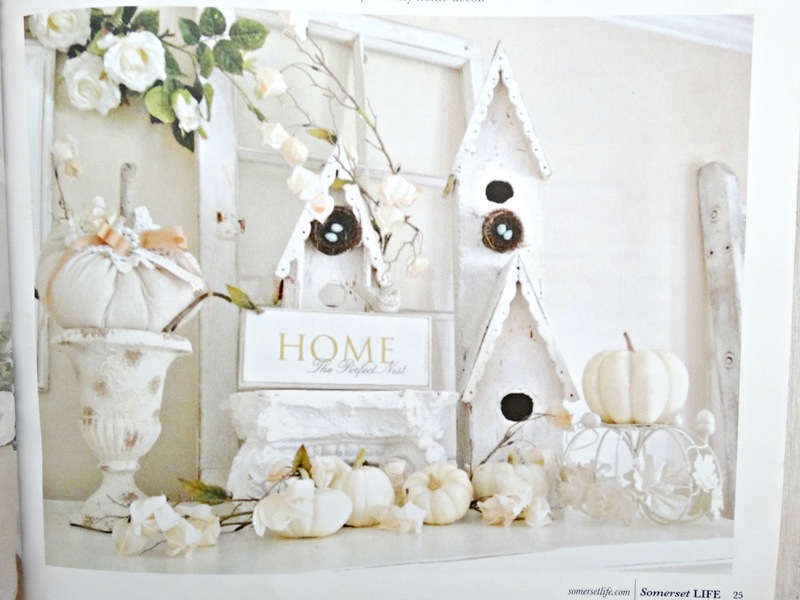 They are going to love having your home in photos to inspire over and over. Have a great weekend.